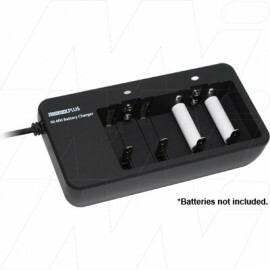 Description NiCd/NiMH Charger for AA, AAA, C, D & 9V batteries. Charges NiMH/NiCd batteries in sizes AA, AAA, C, D and 9V. Charges various combinations simultaneously - eg: 2 x 9V and 4 x AA.